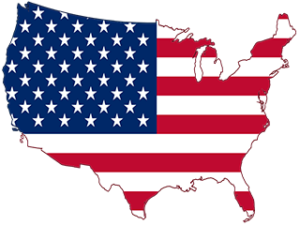 Any aspirant who wants to pursue his or her dream education anywhere abroad surely think about going to the USA (United States of America) at least once. This is because international students believe that an American education degree would provide them with best career options in life. Most of the US schools, universities and colleges are constantly ranked in the top most positions in international rankings. The United States of America has more institutions of higher learning than any other countries in the world. More importantly, the quality of most of the educational bodies in the USA is world-class. Bachelor Degree: You’ll need to show H.S.C or equivalent from your own country/ overseas. Masters Degree: To begin a postgraduate course, you’ll need to hold an undergraduate degree from your own country or equivalent overseas qualification. 6.0 in IELTS /equivalent in Bachelor and Masters need to show up to 6.5 as per subject requirement. SEVIS fee: $200 (Non Refundable) I-20 letter fee: $250 (Non Refundable) In fulfillment of United States Department of Homeland Security (DHS) requirements, ALL international students MUST provide evidence of enough funds available for their studies in the States. The approx cost of tuition, housing, food, health insurance and personal expenses for 1 academic school year are listed below. ALL international students MUST submit an original bank statement/letter showing sufficient funds in U.S. dollars to cover the expenses of studies for one (1) academic year. If the original bank statement/letter is not in the name of the applicant then he/she has to submit an Affidavit of Support in addition to the original bank statement/letter. Upon receipt of all outstanding documents and first year fee deposit, the I-20 form will be issued reflecting your deposit in order to enhance your visa procedure. I-20 will not be issue until receive your financial documents. who wish to bring children will need to provide an additional US$ 3,000 per child. Associate Degree(2 Years): Students can apply in an associate program or directly entry in a bachelor Program with IELTS min 5.5. In an Associate Degree student can study 2 years. After that if the students wants bachelor degree they needs 2 years more. Bachelor Degree (4 Years): Computer Science, Networking and Information Technology, B.B.A, Management and Marketing, Finance and Banking, Economics, Electrical & Electronics Engineering, Civil Engineering, Hotel Management, L.L.B, etc. Master’s Degree (2 Years): Networking and Information Technology, Management and Marketing, Finance and Banking, Computer Science, Electrical & Electronics Engineering, Civil Engineering, Economics, Hotel Management, Organization Management, MBA, L.L.M etc. Note:All budget given above will vary on institution basis. * Bank Statement of Saving/Current/Business Account. * Prove of source of income.